We were once approached by DoubleGIS, a company engaged in the development of city information reference systems with a task to work out a graphic design for the mobile version of 2GIS application. 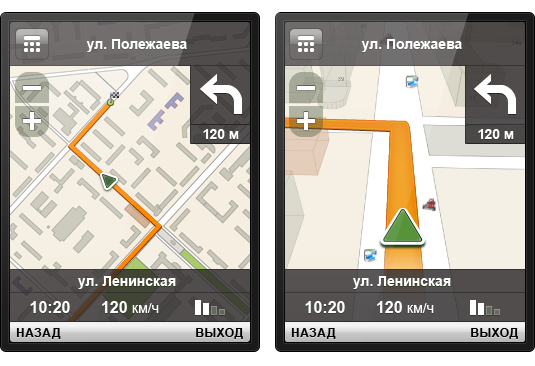 The main requirements to the interface became the simplicity in use and the correct display on screens with customized resolutions. 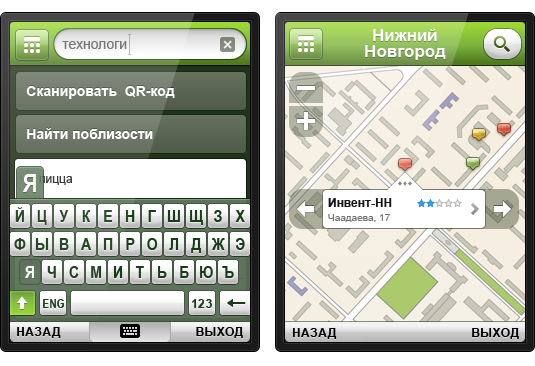 The application will be working on Windows Mobile, Symbian and Android. Sensor screens should provide for fintertip as well as stylus control. And the devices without sensor displays should do well with other controls (joysticks, buttons). 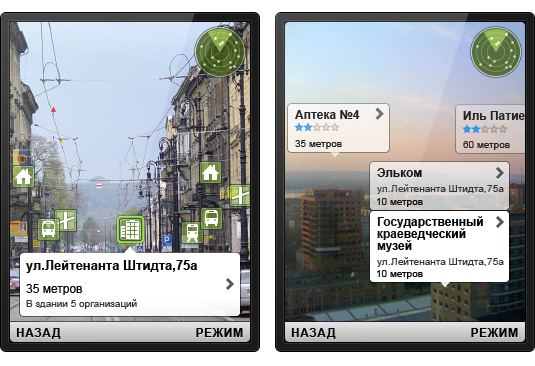 We started with the main screen, which allows to jump directly to the main functions of the program. We targeted the emotional design but with the set of requirements set by the brand book of DoubleGIS. Then we started on the multitude of “internal” screens. 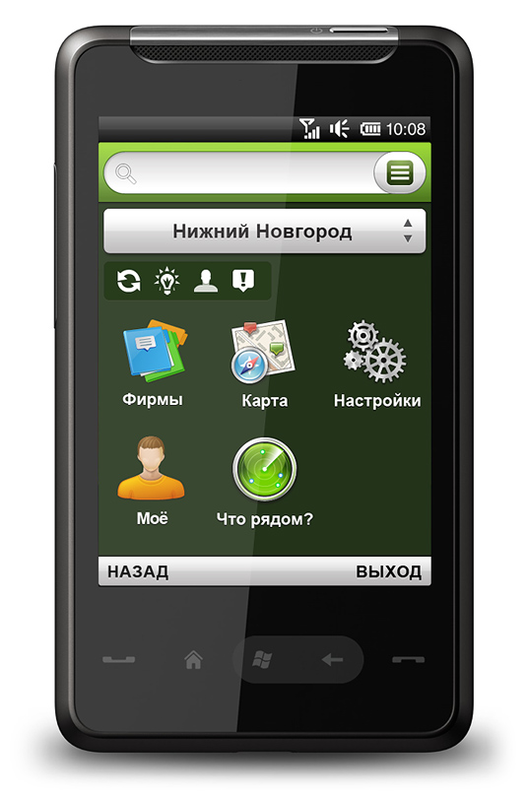 Although it is a mobile application it holds a lot of functional capacity. We drew all kinds of buttons, icons, pointers and other graphics. Every screen was drawn for two screen resolutions to make sure that the graphics is vivid and clear on any phone. I took a look at the visualization in the portfolio and really enjoyed it—it’s several months of labor. It’s actually extremely pleasant to work with you. All of the sketches were full of great ideas and professionalism was obvious in all elements of the interface. Due to the 3-hour time difference I would sometimes get sketches for approval closer to the midnight, but they were fantastic and really pleasing! The result of several months of work is visible to hundreds of thousands users now and it’s magnificent! Thank you again and I am looking forward to further cooperation and good relations. Stops and public transportation routes. We would like to extend special thanks to Dmitry Pilikov, the UI specialist for DoubleGIS for his help and patience.